89 Julieann Place — RE/MAX Plus Realty Inc. 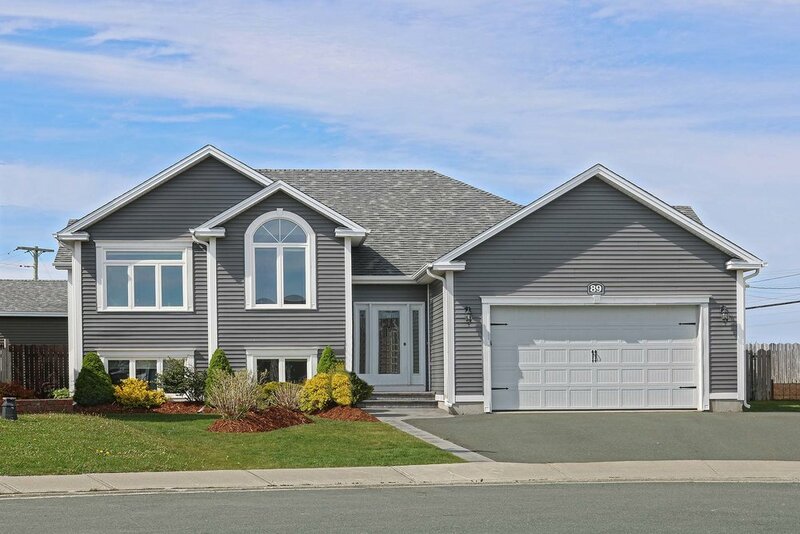 This immaculate 4,368 square foot home is conveniently located just off of Logy Bay Road in family friendly East Point Landing. The 5 bedroom, 3.5 bathroom house is situated at the top of the cul-de-sac on a large, fully fenced, pie shaped lot with no one behind you, great privacy! This spacious property is the perfect family home as it`s unique design allows for 3 bedrooms on the second level and 2 spare bedrooms, plus a rec-room and full bath on the lower level, making it a great option for teenagers or older children. The main floor contains an open concept kitchen and living area with propane fireplace and a separate dining room for a more formal setting. The master suite is located on the back of the house and boasts a large walk-in closet and 4 piece ensuite. To top it all off, in addition to the attached garage you have a huge detached garage in the backyard for all your toys. Don`t miss out on a great opportunity to live in a family friendly neighbourhood near all amenities!